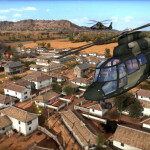 Both role-playing and real time strategy games have a tendency to be intensely obfuscated affairs that require a lot of the player in order to succeed. Spellforce 3 is a game that combined both RTS and RPG elements into a single package in a fantasy setting, allowing players to build up a city of your own and outfit your bands of heroes with magical spells, abilities, and more, so they may fight to do your bidding. So, is Spellforce 3 a spellfarce, or will this game force its way into your PC game library? Let’s find out. 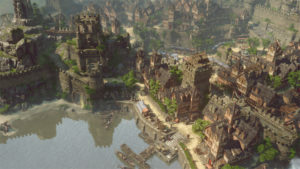 Players initially take control of Sentenza Noira (voiced by Doug Cockle, the same as Geralt of Rivia from The Witcher), commander of a unit of soldiers directly under command of their queen. Their goal is to take out a rogue mage and murderer by order of the queen. 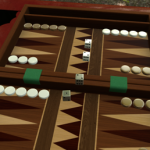 The prologue introduces players to a likable enough group of characters before tragedy strikes and players get to make their own character for use in the rest of the game. The story does a pretty great job of putting the player in the shoes of one of the most hated people in the entire kingdom, but so as not to give a lot away: The plot is surprisingly decent. 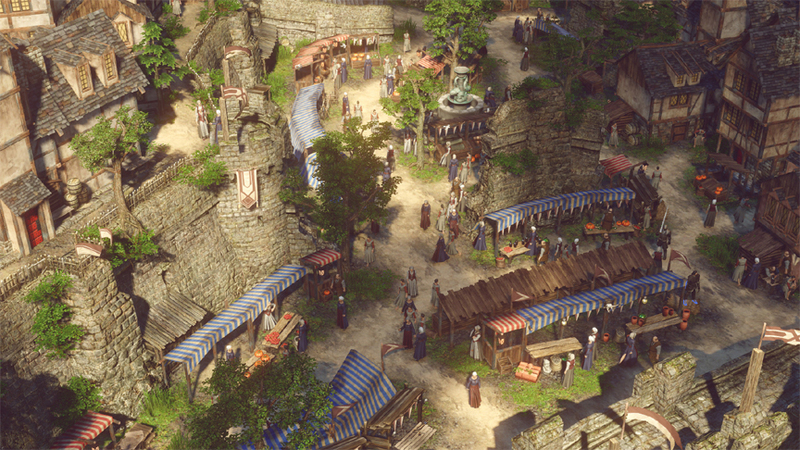 Come play a surprisingly balanced RPG and RTS hybrid with a copy of Spellforce 3 from Amazon! There’s not an overwhelming amount of lore that players must chew through before they can fully understand plot points like some computer RPGs require, and while many of the characters are flat and don’t exactly have tremendous amounts of development, the story itself does a good job of keeping the player interested in continuing to the next quest. 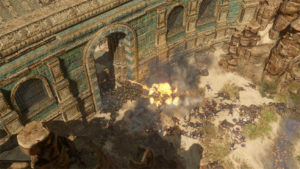 As for how Spellforce 3 plays, as mentioned above, it’s a hybrid of RTS and RPG systems. Anyone who has played Age of Empires II may have an idea of how the RTS side of Spellforce 3 works. The camera is positioned isometrically, much like Diablo, and players will select through group of characters by highlighting them with the mouse and moving them along the game, killing and looting the whole way. When it’s time to engage in combat you simply highlight all of the characters you want to attack with and right click your target, and they’ll pretty much do the rest. That’s… about as far in depth as RTS combat goes. It’s very easy to grasp highlighting and clicking on bad guys until they go away, though some players might be left wanting for more. Hero characters can equip powers and spells to further assist in combat that your other units don’t get to utilize, but combat mostly flows the same way: Toss some fire balls while sending your units in to stab something repeatedly, and they’ll happily comply. There are also healing abilities, spinning weapon attacks, and more, which gives a reasonable extension of battlefield control to the heroes so long as you set them up properly. 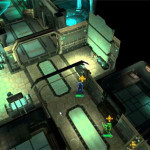 The RTS gameplay is simple, but still fun at first because how you build your advantages out of combat can vastly affect your success in combat. 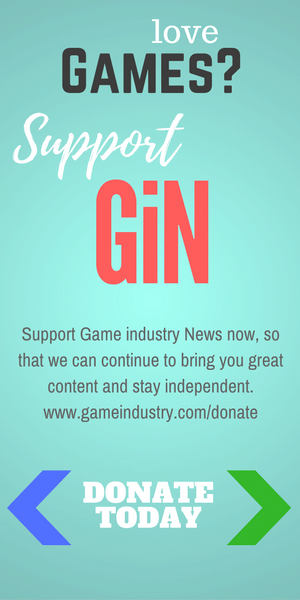 The RPG systems of the game are what you would expect: Characters have stats like Constitution, Dexterity, etc., that grow as you level, which increase your effectiveness with certain weapons or spells. Skill trees are also available, allowing you to garner some perks to further cement your advantage. Interestingly, however, players are able to pick specific skill trees to level up at the beginning of the game, and there doesn’t seem to be a way to change trees if you determine later that you don’t like how your character is developing. 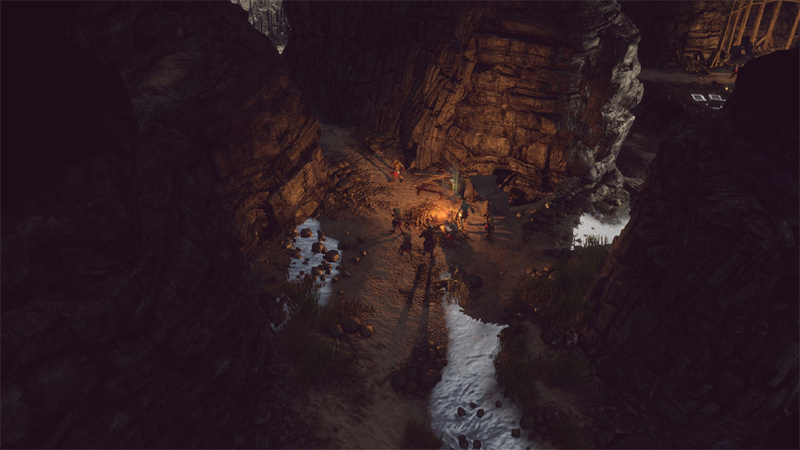 Base building plays a significant role as well, requiring players to gather resources for food, building materials, and develop your base using the aforementioned. 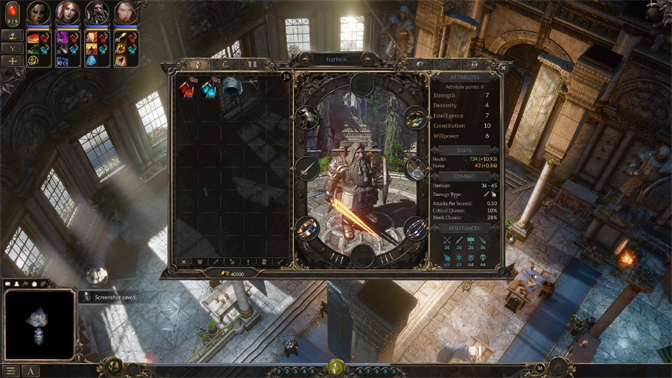 Gameplay in Spellforce 3 switches back and forth from RPG to RTS modes: Obtaining quests and building your homestead largely takes place in RPG mode, while venturing out and slaughtering enemy headquarters takes place in RTS mode. Base building can be extremely addictive and, by the end of the game, the RTS combat will seem more like a brief mini-game interrupting everything else you were doing. Once your hero party gets strong enough to rush to the enemy HQ at the start of a mission, you may be able to destroy it without much resistance as the AI seems to work toward the long game rather than focus on early game defenses (similar to the tank rush strategy from Command & Conquer Red Alert). Sometimes the AI doesn’t even expand at all, making the final assault on their base disappointingly easy. 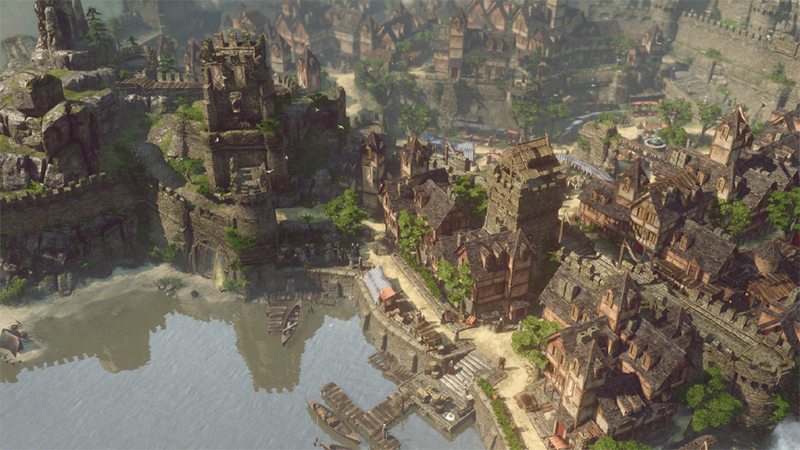 Graphically, Spellforce 3 looks gorgeous. Environments are designed with a lot of imagination, as rotating the camera can reveal hidden ruins in forests among many other nice visual touches. The sound is superb as well, as the game sports an extremely fitting soundtrack that is strongly in theme with the fantasy visuals of Spellforce. The voice acting cast has some lows, but the cast overall is quite competent pleasurable to listen to for a few hours. 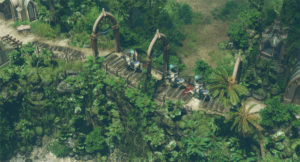 Now, for the problematic things: Spellforce 3 launched with an especially high number of game-breaking glitches- broken event triggers, frequent crashes, and numerous other problems that plagued the game from the very first scenarios of the campaign when doing the play through for this review. 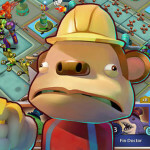 The game has been patched more than 20 times since release, so it’s great the developer is ironing out the bugs, but even in its current state the game can freeze repeatedly during dialogue, or crash when going to the world map, crash when leaving the world map or… well, the game can crash for seemingly any reason at all, honestly. Even after this many patches, crashes are still incredibly common. Sometimes you’ll recruit new characters to come to your city and they’ll disappear, never to be seen again, quests may just completely break with no way to complete them, and more. The game being patched also caused a guaranteed and repeatable crash by loading a save file, which was incredibly problematic, because then the game couldn’t be played for a few days while waiting for the game to be patched yet again (I suppose I could have tried starting over with a new save, but ain’t nobody got time for that). 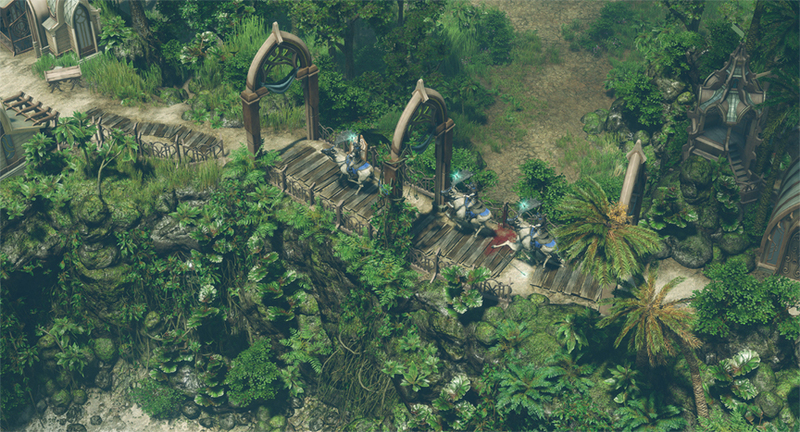 Overall, Spellforce 3 is an extremely fun and addictive game. When it works. 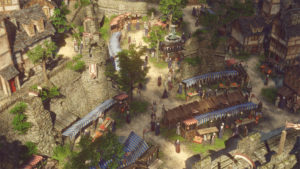 That last bit is extremely important: If you temper your expectations of intricate RTS and RPG genre gameplay, Spellforce 3 is surprisingly fun to play around with even if it’s a bit shallow in overall depth, but players can only experience that depth if the game functions competently without forcing player to reload past saves in order to continue playing due to progress-halting bugs. If you can get through Spellforce without it crashing, freezing, scenario breaking, etc., then it’s a solid 4 out of 5. Unfortunately, some players (myself included) will spend their time fighting with the game’s scripts and code than they will the actual enemies, causing the product to seem more like an alpha build than a $50 game. Once the myriad bugs are ironed out, Spellforce 3 will probably be an excellent title to try out if you’re hankering for an RPG/RTS hybrid. In the current shape of the game, however, I cannot recommend this game for $50 when Spellforce: Platinum Edition is one fifth the cost with far, far fewer bugs and glitches. 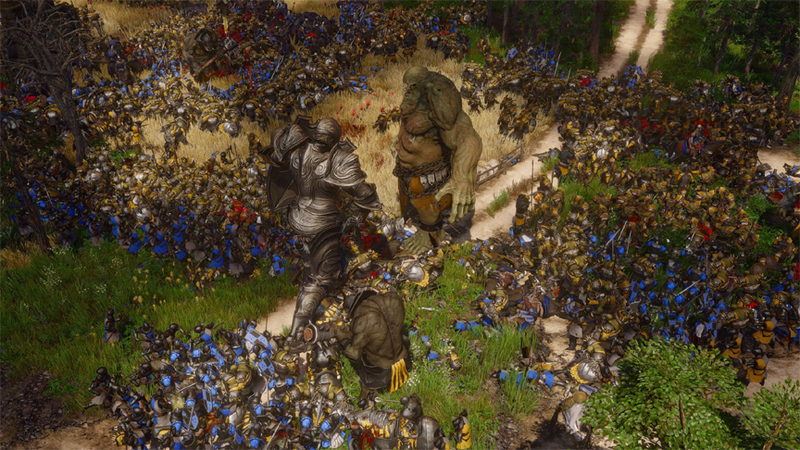 Spellforce 3 is fun, but buyer beware in its current form unless you’re extremely forgiving of game-breaking bugs.